International planning expert Edwin C. Marshall presented an exciting case study in how arts and creative organisations, communities and government worked together to rejuvenate Harlem as a major arts and cultural destination. Edwin discussed the role New York City Council has played in the cultural rebirth of Harlem and the significance of 125th Street as a major historical, arts, cultural and entertainment corridor, tourist destination and regional business district. The redevelopment of major venues and institutions in the district. He also discussed the unique Arts Bonus program, used as leverage to make developers and commercial interests directly responsive to the needs of arts organisations, residents and diverse communities. 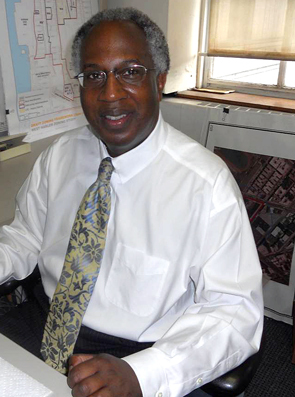 Edwin C. Marshall is a Senior Planner in the Manhattan Office of the New York City Department of City Planning with 29 years’ experience. He is recognised as one of the leaders in the cultural and creative rejuvenation of Harlem and the district’s Arts Bonus program, where public, private and state investment is brought together to facilitate the establishment of street level cultural, arts and entertainment organisations in every new Harlem development. Edwin also lectures on Harlem planning and development at New York University, Long Island University and Columbia University amongst others. Edwin’s Australian tour is managed by Bite the Big Apple! New York Arts Management Tours.